Keeping in tune with my general aura of grim despondency, the first set of non-panoramic photographs I have put together from last winter’s Antarctica jaunt features that slough of despond, Whaler’s Bay at Deception Island. 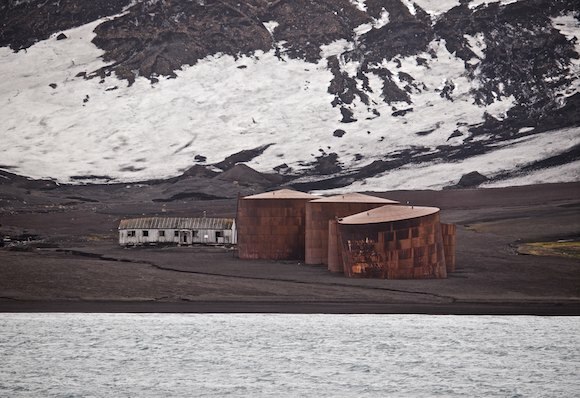 In much the same way that I was drawn to decay and desolation at Pyramiden, at the other end of the planet, and indeed at Argentiero, in a very different climate, I find Deception island quite fascinating. 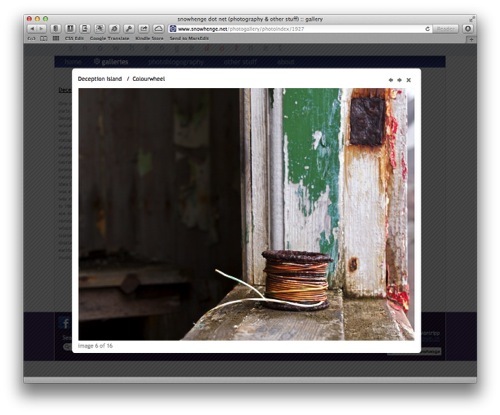 It seems that vestiges and faded memories of human presence seem to attract me much more than the thriving activity. 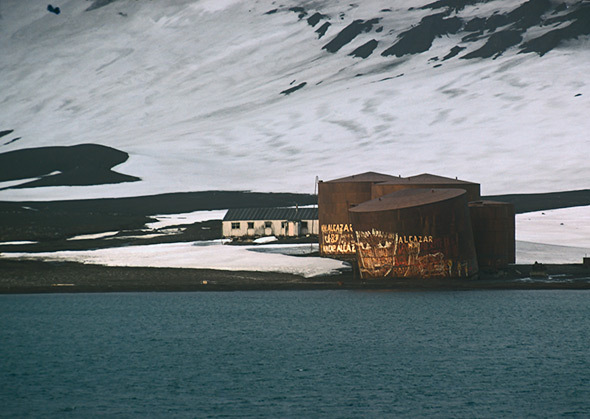 Deception Island, and Whaler’s Bay in particular, depresses quite a few people - there remains an aura of wanton, reckless destruction from whaling times, and the residue of the last sequence of eruptions contributes to a dark atmosphere. It’s not a happy place. Whaler’s Bay has been considerably sanitised since my first visit. Although I appreciate the idea of cleaning up the environment, in particular when it comes to dangerous substances, it does seem somewhat at odds with preserving Antarctic history. I’m not sure how justified it can be to present some kind of squeaky clean vision of the past, in particular erasing Argentinian graffiti from the oil tanks. … Whaler’s Bay oil tanks in 2013.